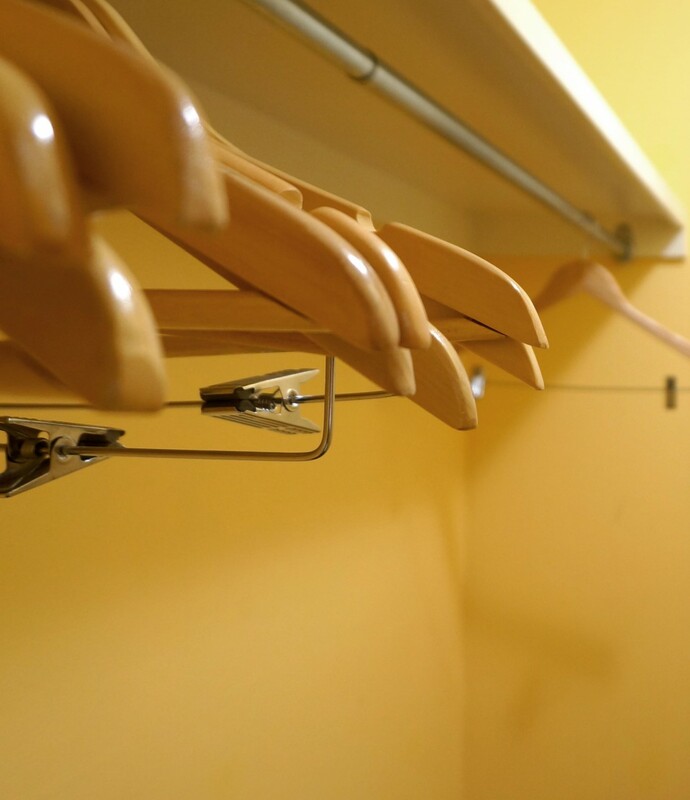 Now that my closet is empty, I would like to be smarter about the way I refill it. I’m a pretty tidy, organized person in real life, and my closet tends to reflect that. But there are a couple of trouble spots, so here are the questions I’m trying to solve now. 1. What is the best way to store scarves? I have probably 70 or 80 light silk scarves that currently live in clear plastic shoe boxes, organized more or less according to color. I also have knitted scarves in a separate storage box. These are bulkier and harder to store. I’m not crazy about these storage boxes because they’re hard to get in and out of the closet and, even though clear, I end up digging and mussing while searching for the one scarf I can never seem to find. 2. What is the best way to store necklaces and earrings? Right now, my necklaces are looped over the corner of a mirror, where they are in a predictable tangle. My earrings are in crystal boxes in a jumble that makes finding two of the same almost impossible. 3. How do you store boots, booties, and platform heels too large to fit into shoe bags? I’ve been on a buying kick with footwear lately, and none of my five new pairs of winter shoes will fit into my hanging shoe bags.